Today’s guest blogger is Ville Taajamaa, business development and internationalization manager at FinderBase. no, you are both wrong, elephant is an animal with huge ears. There was no resolution although everyone was right. My China is this elephant. The environment has to last also to our grand children’s children. The difference between the quality of life in cities and in rural areas needs to be diminished. To tackle these challenges, China differs from other BRIC (Brazil, Russia, India & China) nations in one crucial perspective. China is centralistic. Once something is decided, it can be implemented with a speed that leaves you gasping for air. FinderBase could be one blind wise man to the elephant. FinderBase has a great opportunity to offer valuable platform to the Chinese audience. China is a community that cares. There is an actual need for a service that connects people with their lost valuables to those who care and want to help. With one word the market can be described as big. In China people are honest and always eager to help. FinderBase can offer technological and service-based value by connecting both urban and rural areas and helping people to find each other. It was already in February when I got involved with this project. I was immediately interested as I saw the ecological and social perspectives involved. As a team member I am in charge of cooperation. That includes companies, authorities and charities, among others. I started the project by interviewing some of these main interest groups. Early on it became clear that customer dissatisfaction is very common among the existing customers in the market we’re targeting. Companies refuse to outsource these services because there is no one on the market they would like to cooperate with. From the environmental perspective the current situation doesn’t make sense. Tons of perfectly good products are thrown away by companies in all parts of the distribution chain. People who try to use this system like it’s intended are ruthlessly abused and end up paying for nothing. Remote services and lacking information between different locations are also challenges that the current market is facing. You really have to make an effort to go and do something you could do in just a few clicks on your web browser. A nation-wide service that combines all the actors in this industry and creates a new communicating platform for them is really necessary. Today’s blogger Tiina Aulanko does marketing of ethical and ecological products. Last Sunday, I gave a recital in Helsinki. I sang Songs of Travel by Ralph Vaughan Williams and Finnish modernist Yrjö Kilpinen’s songs from series Kanteletarlauluja and Tunturilauluja. Pianist was Joel Papinoja. Every now and then, when I am alone in the rehearsal room my mind wanders off to metaphysical questions. What is being? Why do I exist? Why do I waste my time singing? Why do I think this kind of things? An outside observer would say that the recital on Sunday was what recitals basically are: we were at the stage and streamed the information to the audience which received it. That is the way most of the people see it. A bus is an excellent place to observe people; people look out as if they were in null mode. Immediately, when they notice a friend entering the bus, they change the mode. They start to communicate. They come back to life. Being is a crucial part of performing. If you are not at the stage you are not able to perform. Conceptualizing being through communication is a way to realise the idea of a singing performance. In the singing performance, the singer is not only a transmitting object: the singer becomes a part of the spectator’s mind and vice versa. The communication converts their minds into one. During the performance, the singer and the audience are only one mind. I saw my old friend Petteri had started to write this blog. I called him and I was in. The project is spectacular. The project meetings are in many ways similar to a singing performance. They are both what I would call compressed being. 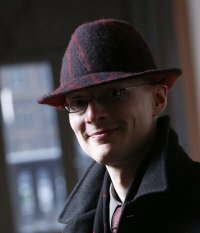 Today’s blogger is Oskari Nokso-Koivisto – the artistic director of the millionbefore30 project. Everything in our lives is connected to everything we are. We cannot experience anything without being the person who has lived our past. The parts of our life are intertwined and one part affects the others more than we may think. It’s obvious when we start to think about it. The mood swings in a personal relationship, for example, will affect the mental state of a person in all areas of life. I will argue that people focus most of their attention to the part of life that gives them most pleasure and least pain. The answer is no. But if you focus all your energy to the part of life that feels the best, you are instantly missing out on the other parts that potentially could make you feel even better. Or better yet, achieve a full joy in life. What are people really trying to achieve in life? I believe the three things that people try to achieve in life – either consciously or subconsciously – are happiness, joy and excitement. To achieve that you need to work in all areas of life. Everything affects everything so you can’t give your 100 % in any area unless all the other areas are on the same level. My advice is to put your attention to solutions in areas that need most fixing. Those areas are the ones that are the hardest to put attention to and the ones that most negatively affect all the other areas. So, don’t get sucked into the easy pleasures, but focus on putting your life in balance and you and everyone around you will get more pleasure from life. Today’s blogger is Ihmeparantaja Iiro – one of the highest valued life coaches in the country and the team spirit consultant of the millionbefore30 project. Every human being is at times in need of assistance. On the other hand everyone gets the chance to help someone else. But why do people actually help one another? Some people have the innate ability to help others. They feel the destined to put others first and themselves last but these people are a clear minority. These people usually find their careers in helping people in charities or churches etc. These people can even be abused for their gullibility. Most people feel positive about helping others when it’s convenient to them. These people will usually give directions when asked and help their friends like normal people do. These people are willing to help if it isn’t a major inconvenience to them. Some people see helping others as the path to personal gain. Helping someone now might leave them in gratitude for the future. These people are willing to help if they consider the future gains bigger than the current losses. What is the right way to help people? I will argue that the right way is the one that makes both the helper and the receiver happy. Everyone should go through the trouble of thinking what motivates them in helping others. When you know that it’s easier to start analyzing the way you behave when asked to help someone. So whatever is your motive for helping, you should always do it from your own standpoint. Doing it for anything else will eventually backfire. This is also the reason why helping is so poorly valued in our society. I spent some time today to present my first subproject (the one I pitched last week) to the Tuli people. After a fair bit of discussion I’m quite positive that we’re getting the first funding to get things rolling! In the first stage we’re talking about 5000 € (less than $7000) that can only be spent on goods and services that directly support the project. That is exactly what I’m going to do. I will launch an alpha version of a social media web service in about a month from now. I presented some people I need to get it done in my entry on Day 11. Development weekend with a small dedicated core team, about 3000 €. There are still openings in the core team. People won’t join the team for the money but since this money doesn’t directly count towards my goal it’s best to invest it to things that do. I had so many lively discussions around my project today that I’m just thrilled with excitement. Great things will be accomplished with you people!